It’s the best present Little Monsters can get for Christmas! Re-release of Lady GaGa‘s debut album, The Fame Monster, has been named the best-selling album of 2010 with 5.8 million copies sold worldwide this year. GaGa’s album tops the list of 10 best selling albums of 2010 beating albums released by the likes of Taylor Swift, Eminem, Susan Boyle and Justin Bieber. I love The Fame Monster and I’m really happy for GaGa, a nice way to finish the super successful year of her career. 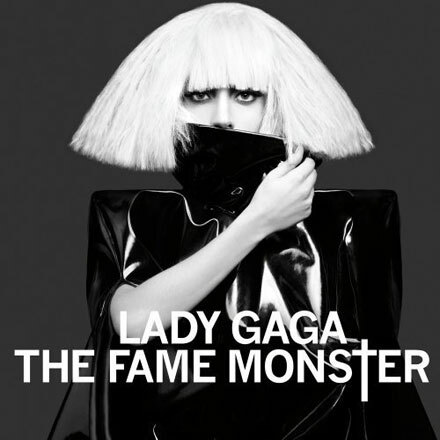 While The Fame Monster is the best-seller 2010, Lady GaGa’s new studio album, Born This Way, is expected in the first half of 2011. In her newly-released message Mother Monster said she had some very exciting Born This Way news coming on New Year’s Eve, which is just three days away now! What do you think GaGa wants to tell us?